Former police officer Arturo Lascañas told television host and economist Solita Monsod during Monday’s episode of “Bawal Ang Pasaway Kay Mareng Winnie” that, aside from being a member of the Davao Death Squad, he and his companions also moonlighted as contract killers. 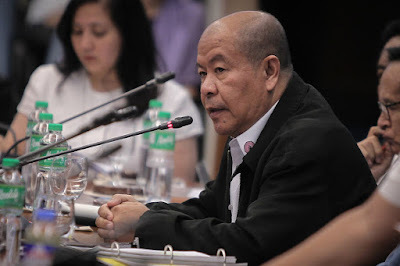 Lascañas recounted how they were allegedly employed to kill a person named Chua, because the employer believed Chua had had the employer’s brother killed. The employer thus wanted “swift justice” as payback. Being police officers, Lascañas and his partners made it appear that their target Chua was a drug dealer, who they then killed in a “legitimate” police operation. Then Mayor Rodrigo Duterte also paid Lascañas and his fellows P50,000 for the killing, as this was the alleged bounty the then mayor supposedly paid the death squad for dispatching illegal-drugs targets. Lascañas also said that of the 1,000-person Davao City police force, very few of them were actually Davao Death Squad members . Lascañas recalled how they tested around eight new police officers to determine if they had what it took to be members of the death squad. The test would reveal whether these new recruits had the talent or special skill to be part of their team. “Ipasaksak namin sa kanila (bagong recruits), ipa-guillotine namin sa kanila. So doon masusukat yung sikmura ng isang pulis,” he explained. Lascañas admitted that his family was completely against his testifying in the Senate, even though they really knew nothing of his business. He also believed that his public confession had put his family in danger. He claimed that last January, his illegitimate son, a college student, was waylayed. He had no firm information, but Lascañas believed that his fellow police officers in the death squad were behind the attack on his son.